September 2017 - Don Mills Builder, Inc. September 2017 - Don Mills Builder, Inc. If you’re looking for the best area to live in Guilford County, try heading north. Northern Guilford County has a lot to offer in terms of livability from great schools to fun activities. There are many reasons why people are moving to the northern part of the county, including the laid back country atmosphere. Custom home lots in Greensboro, NC, are being developed outside the more congested city center. But despite the small town feel, there are still plenty of fun things to do in Northern Guilford County without venturing all the way into Greensboro. Avoid the traffic and crowds and try these attractions. Home to the Summit Environmental Education Center, Haw River State Park is a hub for NC State Parks. Haw River State Park is home to many different ecosystems from wetlands and uplands, to forests and fields, making it an excellent educational spot to learn about the natural world. The park includes multiple hiking trails and a boardwalk for viewing the wetland area. The Summit Conference Center offers accommodations from motel-type rooms to cabins and all sorts of educational programs for people of all ages. A 6-acre lake is available for fishing and canoeing, and the outdoor pool is open in the summer. There’s also a disc golf course, a ropes course, a gym, and athletic fields. Haw River State Park is home to a wide range of recreational opportunities as well as a place to commune with nature. 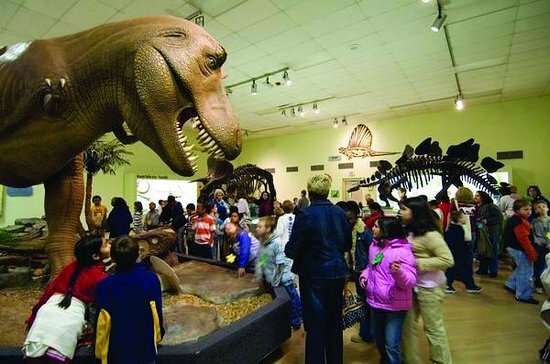 Another top attraction in the northern part of Guilford County is the Greensboro Science Center. Complete with an indoor aquarium, outdoor zoo, and a variety of hands-on learning opportunities, this facility is popular with children and adults. Favorite attractions include the hands-on aquarium pool where guests are permitted to touch some of the sea creatures, the outdoor ropes course overlooking the zoo, and the traveling exhibit room where a variety of different scientific attractions are cycled in and out over the course of the year. Play areas for even the smallest children are available, allowing young scientists to learn as actively as they please. If you’re in need of some retail therapy, Friendly Center is home to a wide variety of brand name stores from Banana Republic to Barnes and Noble. It’s on the northern side of Greensboro, allowing you to avoid the traffic and crowds surrounding the Four Seasons Mall and downtown shopping areas. Plenty of dining opportunities accompany the shops at Friendly Center including PF Chang’s and Cheesecake Factory. And of course there’s a Starbucks for when you need a dose of caffeine to keep your energy up for more shopping. Looking for a home that meets all of your criteria but keep coming up short? Consider custom building on a new, ready to build lot. Don Mills Builders are currently designing and constructing on custom home lots in Greensboro, NC. In the custom building process your ideas, wants, and needs go into the design of your very own luxury home. A truly unique home like no other can be yours in the highly desired northern Guilford County area. Call Don Mills at (336) 362-1777 to get started planning your dream home. Thinking of moving in 2018? If you have school-aged children, the decision of where to move is largely based upon the quality of the schools in the area. When it comes to public schools, children typically attend the school they are assigned to based on their home address. In some situations, it is possible to choose what school your child will attend within a certain zone. Private schools and charter schools offer alternatives to public schools. Where you live may not matter when it comes to acceptance to these alternative schools, but transportation is usually not provided by the school. Take all of these factors into consideration before choosing a neighborhood and looking for home building contractors in Greensboro, NC. Made up of Oak Ridge Elementary (9), Northwest Guilford Middle (8), and Northwest Guilford High (9), this district is top-notch from an educational perspective. Greatschools.org gave all of these schools high rankings of either 8 or 9 out of a possible 10. Rankings are based on a variety of things from test scores to student demographics and parent reviews. Made up of Northern Guilford Elementary (8), Summerfield Elementary (8), Northern Guilford Middle (8), and Northern Guilford High (9), this popular zone is well-established as a quality group of schools. Just as with the Northwest District, the Northern District received scores of 8 or 9 out of 10 from Greatschool.org. Different educational opportunities are available in Guilford County in the form of alternative public schools. Schools like Christine Joyner Greene, Haynes-Inman, Gateway, and Herbin-Metz Education Centers serve exceptional learners. SCALE academies are available to help students who are in need of a different setting academically and behaviorally to be successful. Guilford County schools are fully prepared to serve a diverse range of students. Guilford County is home to 34 private schools, 74% of which are affiliated with religious organizations. A few are located in the northern part of Guilford County such as Oak Ridge Military Academy and Oak Level Baptist Academy. These schools are reputable in the community and are known for high test scores and excellent student-to-teacher ratio. Summerfield Charter Academy is a public charter school in the northern Guilford County area with Greensboro Academy and Cornerstone Charter Academy close by in Greensboro. Charter schools are free and open to the public and typically accept students through a lottery system. They provide alternative educational opportunities to public schools in that they are able to use their state funding in different ways and subscribe to progressive educational philosophies. So many positive educational opportunities exist in Guilford County, the best of which are in the northern and northwestern area. If you’re looking for a new home in or near Greensboro, consider Summerfield, Oak Ridge, or Stokesdale. New custom home neighborhoods are being developed now in these areas from Jessup Ridge to Birkhaven to Knight’s Landing and more. 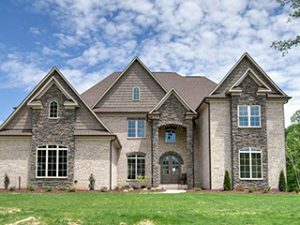 Call Don Mills, one of the premier building contractors in Greensboro, NC, to start building your dream home in a great location. (336) 362-1777.